The year is drawing to a close, and so the time has come once again for me to wish you all a Happy New Year. 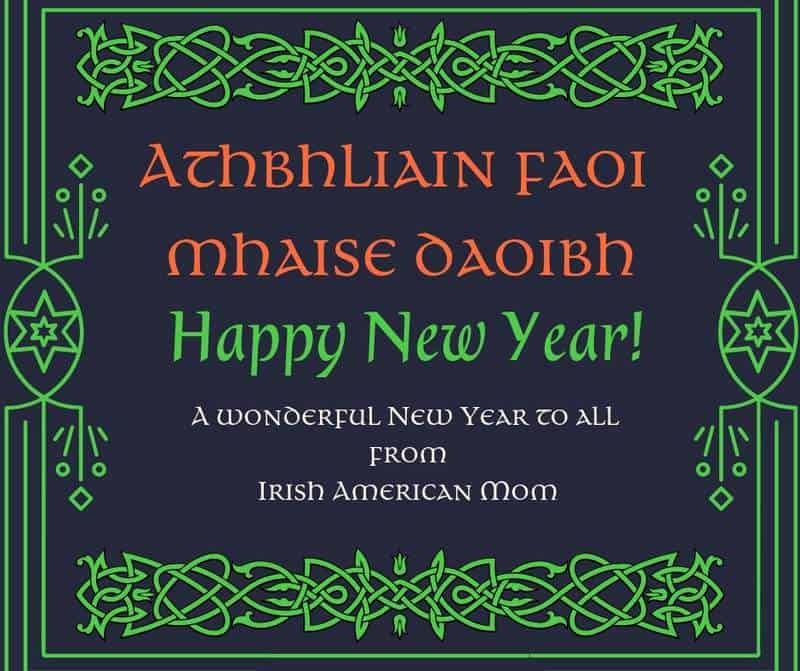 Many of you may wonder how to say ‘Happy New Year’ in Irish, our Gaelic language. Here I’ll share the appropriate phrases in Irish, together with some sound files so you can listen to the spoken word. And as we celebrate the New Year I thought we might also explore some old Irish folk beliefs and customs surrounding this annual occasion….. Let’s face it! …. You can’t stop those years from ticking over. The word “faoi” is pronounced ‘fway’ in Munster, but in Connemara it would be said as ‘fwee’. Since I learned most of my Irish from my West Cork mother, I’m sticking with ‘fway’. When speaking to more than one person, you would say …. The name given to New Year’s Eve in Gaelic or Irish was …. … which literally means Year’s End Night. Plenty of food was brought into the house for the Big Feast, but no food was taken out of the house during the celebration. By keeping food within the house, it was thought that good fortune would be bestowed upon all, and nobody would go hungry in the coming year. Judging by modern day exuberant New Year celebrations held in Dublin and all around Ireland each year, you might be surprised to learn that Irish New Year festivities in days gone by were very reserved. You see, in old Celtic tradition the New Year actually began at Halloween with the celebration of Samhain. 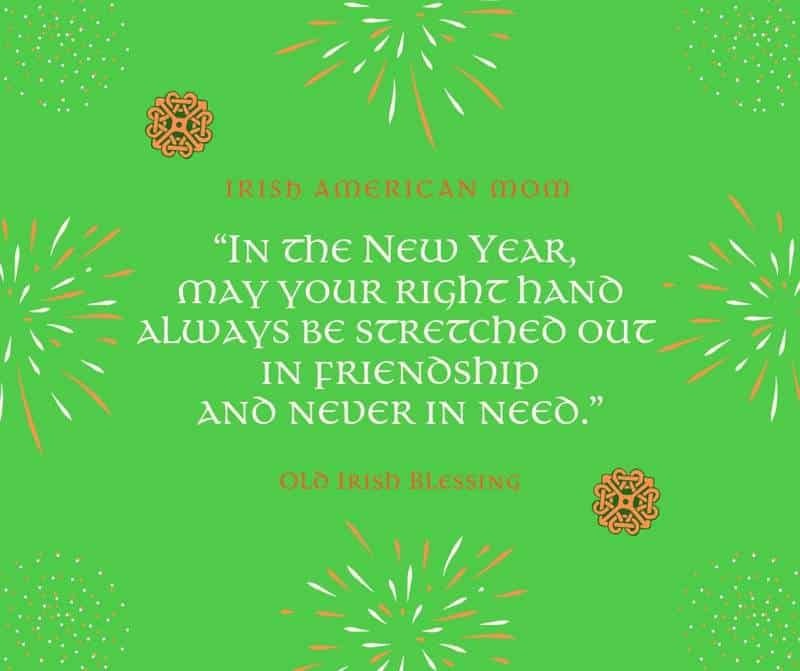 As a result our modern day tradition of bidding goodbye to the old year and welcoming the new one was not formally observed in Ireland in centuries past. However I did discover some lovely old traditions centering on this holiday. These are outlined in a booklet from 1967 called ‘Irish Folk Custom and Belief’, by Seán Ó Súilleabháin (1903 – 1996), which was published for the Cultural Relations Committee of Ireland. 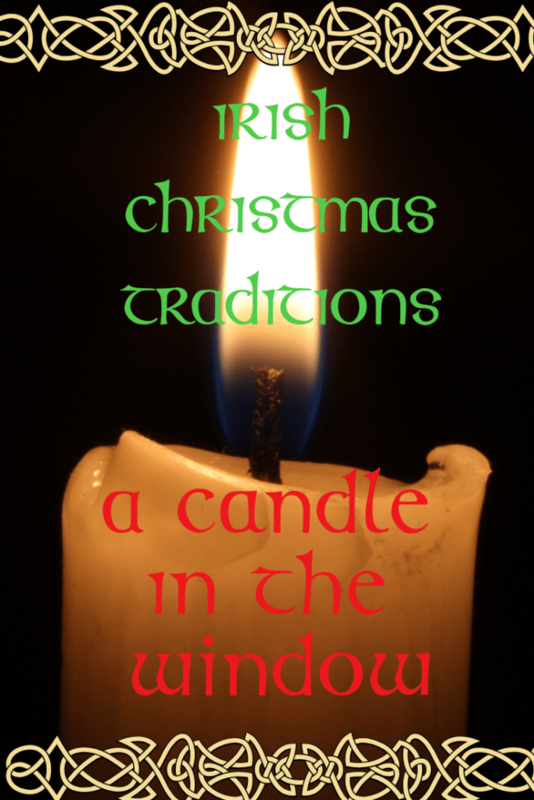 Remember how we discussed the Irish tradition of lighting a candle in the window on Christmas Eve in a previous post …. well, a candle was once again set alight in Irish cottage windows on New Year’s Eve. This was a night for remembering those who have departed this world. Families prayed the rosary together, remembering those who had passed and those now absent from home because of immigration. All of Ireland’s sons and daughters who had left for the distant shores of America, Canada, England and Australia, and many more far flung places, were especially remembered on New Year’s Eve. This was the night when many of your ancestors were prayed for in their homeland of Ireland. 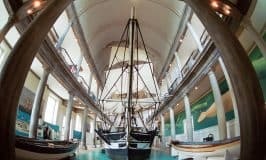 As a nation that suffered the horrors of famine in the middle of the 19th century, many Irish traditions developed to ward off the great dangers of hunger. Each New Year, brought with it many uncertainties, and our ancestors livelihoods were directly dependent upon good weather, the dangers of flooding and the dire need for a good harvest each year. To banish the greatly feared dangers of hunger a piece of cake or bread was dashed against the door. A barm brack or soda bread was used for this bread flinging custom. The man or woman of the house flung the first piece of bread and recited the following verse …. Amach go tír na dTurcach. Here’s my attempt at translation (any Irish scholars out there, please feel free to chime in with corrections) …. Another person sitting in the group would respond …. After this little ceremony the family or group would eat the broken bread together, once again as a symbolic gesture to keep good fortune within, and hunger at bay. Further explanation is available in Irish through this Wikipedia page. And so, there you have it. A little run down of some old Irish New Year’s traditions. If you feel like throwing a bit of bread at the door tonight, fire ahead if you’re Irish. I hope the coming year will be wonderful for everyone. 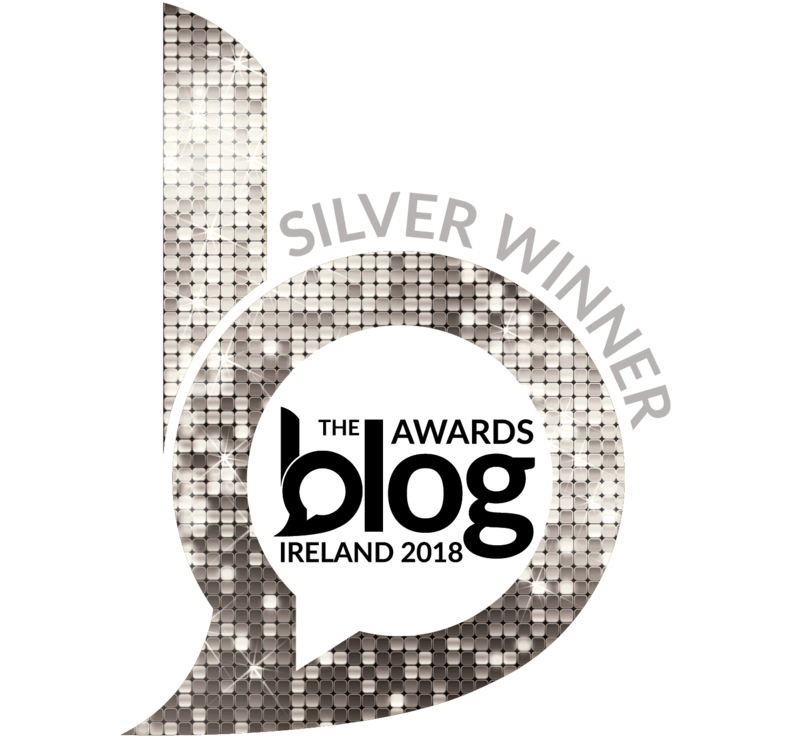 Here’s to a year of happy writing, blogging and sharing stories of Ireland and America. 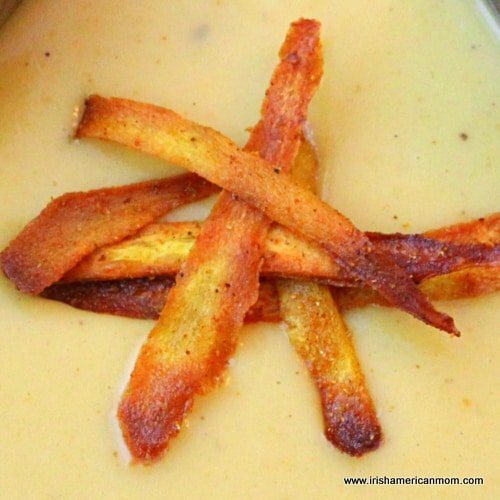 Thanks so much for reading my recipes and ramblings, and do stop by in the New Year to check out my new blog posts. 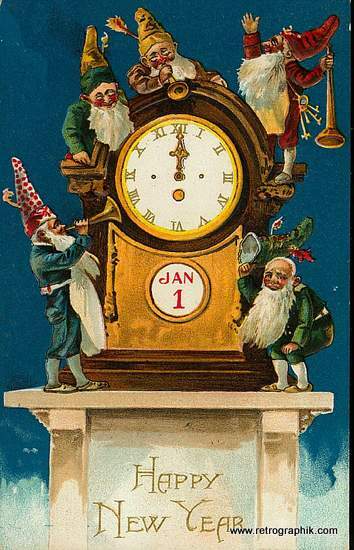 If you enjoyed this post you may like to explore some other ramblings about how New Year is celebrated in Ireland …. Thank you!! A Very Happy New Year to you and yours too! Hi Pat – Thanks so much for stopping by, and best wishes for 2016. Happy New Year to you and yours too, Sharon. Mai, i will have fun with this post for quite some time to come. i do have a trivial question,for no real good reason at and really in keeping with the season–when did irish gaelic begin showing up in written language with the current (greek). alphebet? This is not important enough to work hard at it- it is just for intrerest. 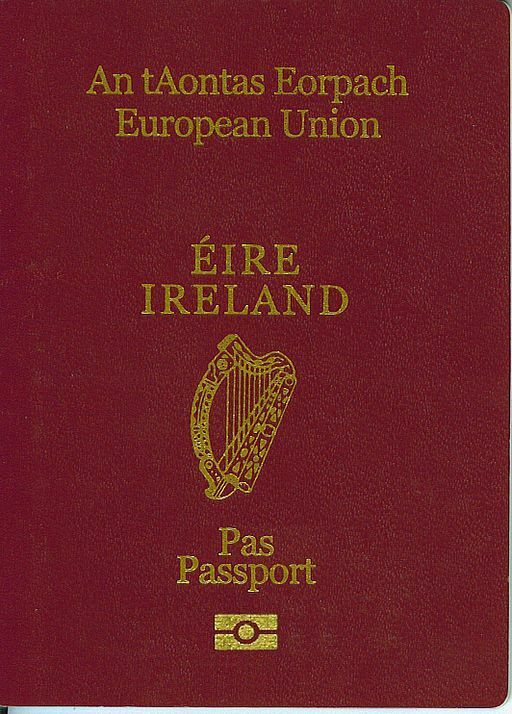 don s.
Hi Don – I believe Irish was not written using the Greek alphabet until the 1960’s. At school my parents learned and wrote Irish using an old Gaelic script, where the letter ‘h’ was a dot over the preceding letter. Here’s an example of where that ‘h’ sometimes gets forgotten … The Book “Anam Cara” is always spelled without a ‘h’, but if you look closely there is a dot over the ‘C’. Technically it should be “Anam Chara” when written in the Greek alphabet. Here’s a link on Wikipedia that explains the transfer from Gaelic typeface in the middle of the 20th century. Athbhlian Faoi Mhaise Duit Mairead! Brilliant research, will pass this to my Connemara Irish teacher. Throwing of the barm…I love it! He Deborah – I’m so glad you enjoyed this little piece about Ireland in days gone by. 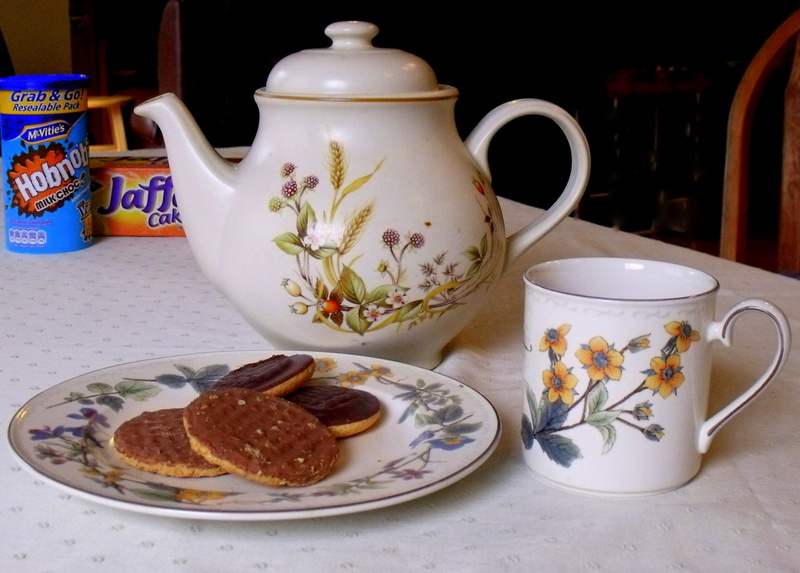 We can fling around a bit of brack on New Years just because we’re Irish. No rows allowed on New Years Eve though – you never know what could happen with the bread flying around. Many happy returns, Maureen. I hope 2016 will be a wonderful year for you, and that you will spend many happy hours taking more lovely photos of Doneraile and County Cork. Happy New Year, Mai! 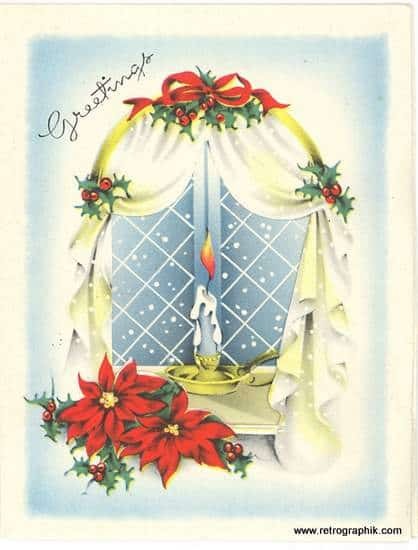 re the candle in the window, my family always lit a red candle in the window to light the Christ Child on his journey to Bethlehem. I was also told that in days gone by, people would light a candle in the window to show that Mass was being said in the house so that people could come and take part. This was in the days when it was dangerous to be a priest and saying or hearing Mass was forbidden. It’s lovely to hear that your family kept up the tradition of lighting a red candle in the window to guide the Holy Family’s way on Christmas night. My family did this too, and I try to continue this tradition with my children. However, we never lit a candle in the window on New Year’s Eve, but perhaps I’ll start doing so on New Year’s Eve from now on. I have also heard the story that a candle in the window was a way to let neighbors know Mass was being said in a home. I think this might be a great blog post to explore more as we approach Christmas next December. Thanks for the inspiration, and thanks so much for stopping by to check out my ramblings. 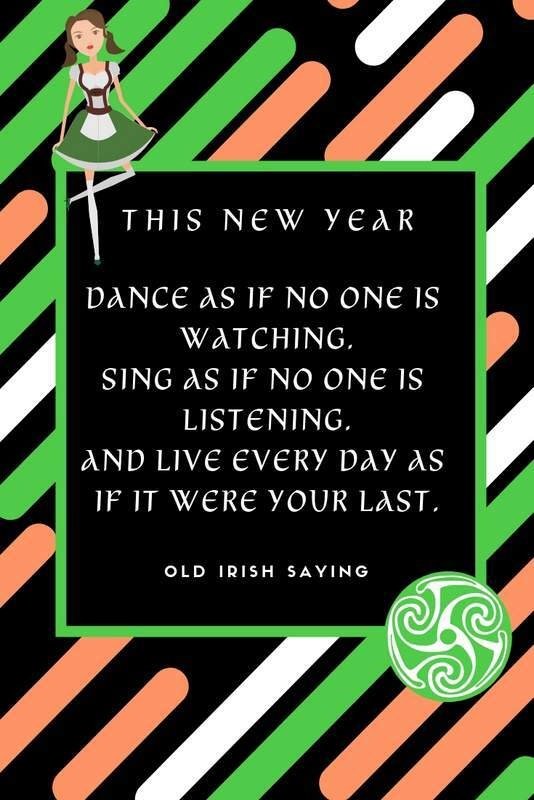 Thank you Mairead* for your fun post for New Years! I was particularly delighted at your flinging the bread segment. On New Year’s Eve, my Dad (from Cobh) always had us do a version of what you wrote! I am 64 and I have never found anyone who was really familiar. We have kept up the tradtion, but am so heartened to find out what you wrote. Thank you so much! We had different Irish words, but similar to what you said. For the fun of everyone, I had looked up some things at Christmastime and found fun info at http://www.ireland.information.com and http://www.irishcentral.com. Thank you for the Irishness you share! God bless you and yours in the New Year! 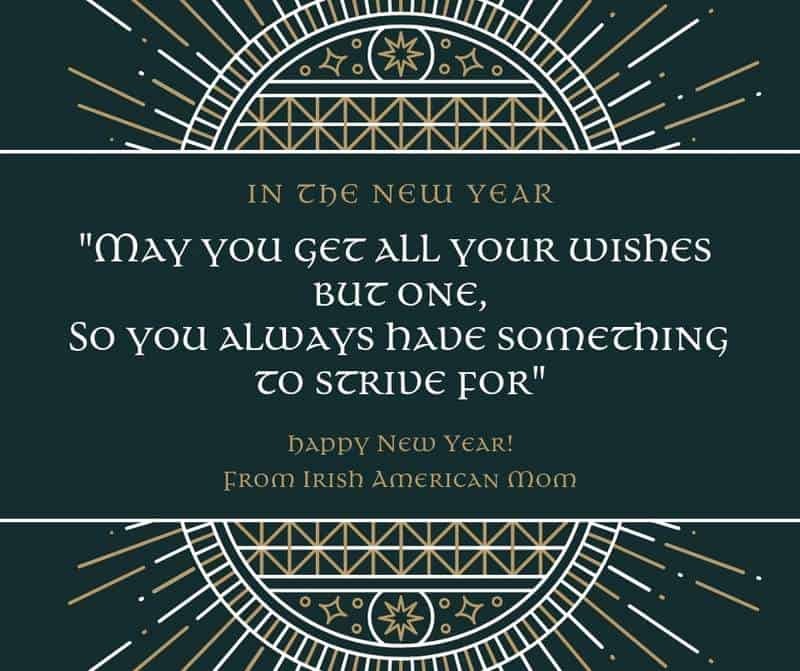 Hi Annie – Thanks so much for checking out this post and for confirming for us that some Irish people brought these old New Year’s Eve traditions across the Atlantic with them from Ireland. Thanks also for the links. P.S. – don’t worry about the fada. I don’t know how to add them when I’m working on an iPad. I can only do it on a PC. For anyone interested here’s what I do for fadas. I hold the alt key and at the same time type in a number. Here they are …. Wishing you and yours blessings and happiness in 2019. Best wishes to you too. Thanks for following my recipes and ramblings. I really appreciate all your support. I hope 2019 will be a wonderful year for you all. 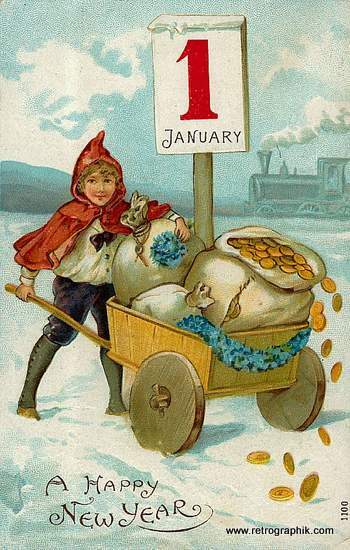 Happy New Year and thank you for your always informative posts! Look forward to more in 2019 and wish you much happiness and prosperity. Many thanks for your kind words, Miriam. Wishing you and yours all the best for 2019.